This weekend’s FAQ comes from a journalism student who is writing her dissertation on the relevance of Twitter as a news source. As always I’m publishing my responses here in case anyone else has the same questions. What are your thoughts on the difference between local and national newspapers on Twitter and their presence on the social media site? Well firstly I think the newspapers themselves are not as important as the journalists’ presence. People have a different relationship to a ‘brand’ (the newspaper) than they do to a person. So the branded accounts tend to be more ‘broadcast’ in the way that they interact, while individual journalists can be more personal and interact more, chasing up leads, asking questions and responding to suggestions. That said, there are big differences: some branded accounts have more personality than others, and do try to interact. Conversely, some journalists see followers as a hassle or social media as too much work, or think that social media is just a place to shout about their latest article. But I think journalists are getting better at understanding social media best practice – how it works as a genre. Because nationals tend to have bigger audiences, they can specialise more in their social media accounts. A national newspaper might have a Twitter account for general news but also others for sport, music, health, and so on. And because a specialist account can assume more about the audience (that they work in the health sector, for instance), they can do more in terms of interaction and requests for leads, etc. 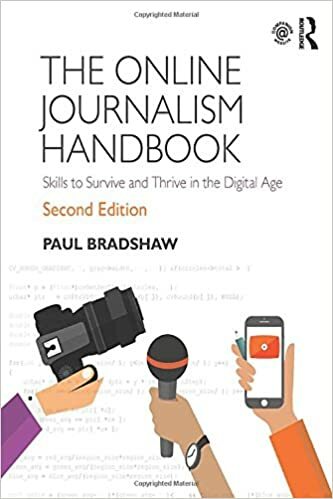 Local newspapers don’t tend to have specialist accounts: instead their sport correspondent, health reporter and the journalist who does most of the cultural reviews will all have their own followings, and the same principles follow. But I don’t think nationals are better than locals, or vice versa. It really depends on how well the organisation has analysed what works in social, and how well that’s been shared. Trinity Mirror for example have had a massive surge in traffic this year because they worked hard on identifying and sharing best practice across all newspapers. What are the key differences in the journalism industry from 5 years ago? 5 years ago most of what we do now was in an ‘early adopter’ stage. So some journalists were using Twitter, Facebook, YouTube, Flickr, etc. but there was still a lot of resistance. I guess the key difference is that the attitude has shifted. Almost everyone accepts that social media has a key role to play; that we cannot turn the websites off and expect everyone to buy a newspaper again. Beyond that, mobile consumption of news is the major shift: it’s not even about desktop any more. 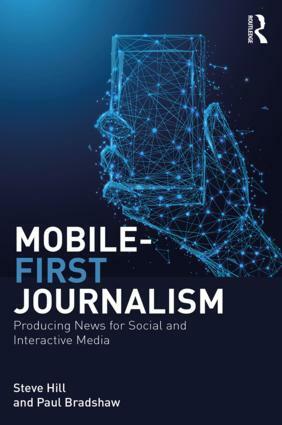 And of course there are a whole lot of new tools and techniques that are now in early adopter stage, like Vine, drone journalism, aspects of data journalism, and so on. How different is the journalism industry compared to when you first started? Massively different in many ways, but also many things haven’t changed. I don’t think we should ignore the fact that the majority of reporting is formulaic – so much so that some of that is now being automated by algorithms – and that has been the case for as long as I can remember. But there is definitely a closer connection with, and understanding of, the audience, and less of a formulaic approach to styles and formats. This makes for a much bigger opportunity for creativity in what we do as we explore what works and what doesn’t in this new medium. Also I think journalism has higher standards than it used to, in terms of original reporting. So much news used to be reporters simply ‘passing on’ information without adding much to it. Now that information is directly accessible – press officers on Twitter; organisations updating their websites and Facebook pages; bloggers reporting because they enjoy doing so – so publishers have to justify what you’re paying for. That has been one of the attractions of data journalism. That said, I still think we have a way to go before that aspiration is a widespread reality. In what ways do you use Twitter professionally? In every aspect: how I find leads; how I tell stories; and how I distribute those. How did you source the majority of your stories when you were primarily a journalist? Press releases were one obvious source. Calls, letters, emails. Speaking to people. Events, conferences, launches, reports. But largely looking at developments in the field and coming up with ideas for looking further into aspects of that which would be useful to our audience: finding experts and people with newsworthy experiences, interesting companies, useful tools etc. What is the main journalistic appeal of Twitter? For me: its succinctness. If someone wants to tell you something they have to be brief. And you are forced to be brief too. It levels the playing field and lowers the barriers at the same time. But also it combines newsgathering with production and distribution: I can with a single click add to a piece of information and pass it on. More recently the appeal has been its use with visual journalism: adding images and video makes a big difference to how far something spreads. What are your thoughts on Twitter being used as a platform to engage with an audience? I think journalists over-emphasise Twitter on that score: it’s a key source of traffic but not the only one. Facebook is much more important on that score, but because Facebook isn’t such a source of information we underestimate and under-use it. What you might say, however, is that Twitter users tend to be more important to journalists in terms of their value as sources: in the same way as bloggers tended to have expertise or a strong voice, Twitter users (microbloggers) are often field experts or influencers. But we need to move beyond that to looking at Facebook and also Tumblr, Instagram, SnapChat, Vine, etc. How long do you think Twitter will be relevant to journalism? For as long as it has a userbase. There’s no sign of it going away any time soon. We don’t. And really there’s no point trying to guess how long it will be relevant: as long as it is, we have to act accordingly. This entry was posted in faq, online journalism and tagged twitter on January 10, 2015 by Paul Bradshaw.